My girl, the brother-in-law and I are big fans of fresh milk. The bro and my girl loves plain fresh milk while I simply love (no prizes for the correct answer..) chocolate milk! Every week we buy 2 packets of milk from the supermarket: 1 Low Fat & 1 Chocolate. It's one of our main sources of calcium and an essential part of our diet. Hence, it was crucial that we bought only the best in the market! As a producer of natural and honest milk, Greenfields guarantees that the milk that they produce does not include additives, chemicals, antibiotics or hormones and are pasteurised and packed within the dairy to ensure optimal freshness. 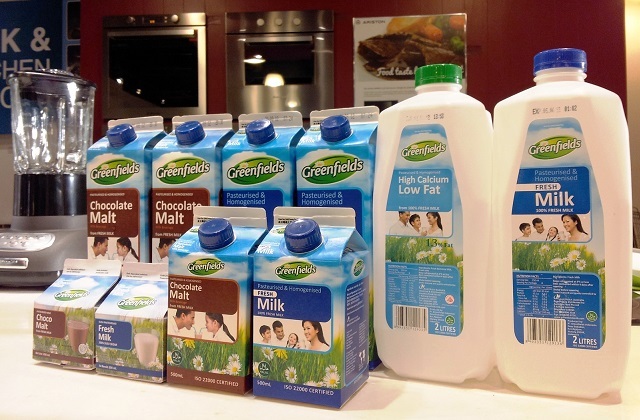 As we have never tried Greenfields Fresh Milk before, they kindly sent us their full range to try: Fresh milk, High Calcium Skimmed milk (0.1% fat of fresh milk), High Calcium Low Fat (contains only 1.3% fat) and Chocolate Malt. The taste of the milk (I'm mainly describing the Chocolate Malt of course since that was the one I tried) was not as thick as some of the brands that I used to drink so initially I wasn't used to it. It wasn't as sweet as well, which the hubby later commented after I mentioned it to him that this meant that the milk was truly real. Real foods may sometimes be viewed as less tasty simply because it is not as salty or as sweet as the artificial flavours that we're used to. I thought that made a lot of sense! Since we had so many packets of milk in the fridge, we decided to cook something with them but I had absolutely no idea so as usual it was our Head Chef (aka Mum-in-law) to the rescue! 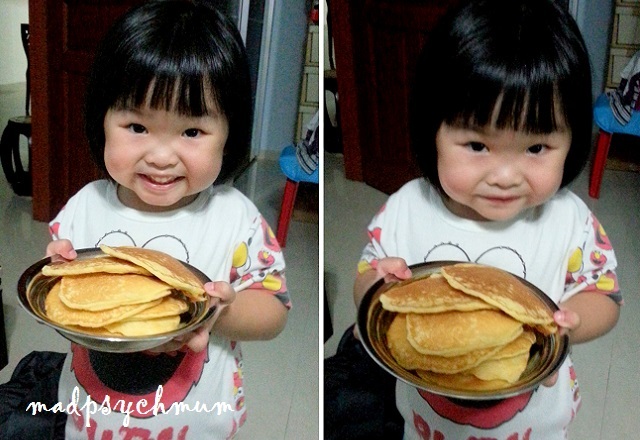 She said my girl really enjoyed the pancakes her paternal aunt made for them so my Mum-in-law wanted to try making them herself. Step 1: Ensure flour & baking powder are sieved together. Add sugar, salt and milk. 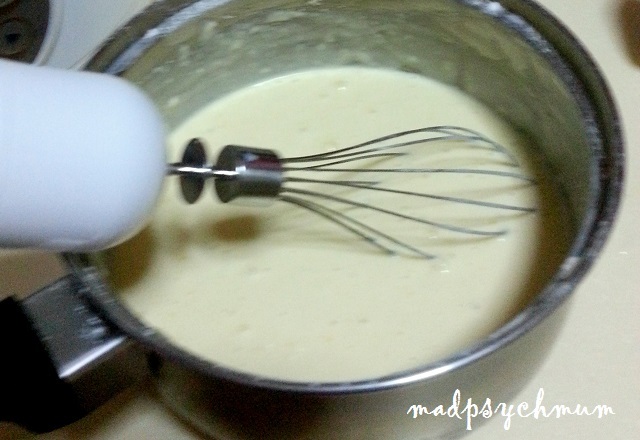 Step 2: Scoop batter and pour into heated pan (low to medium fire). 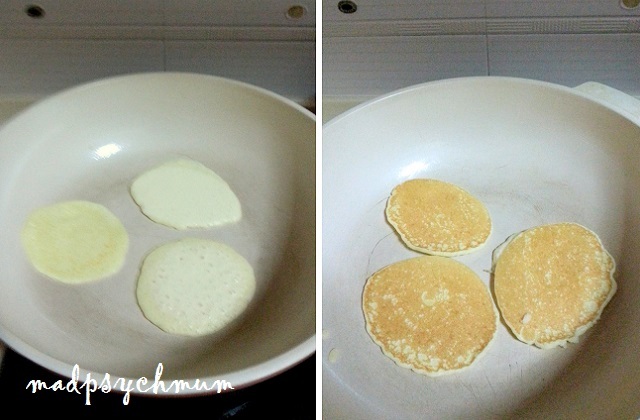 Flip the pancakes after bubbles start to form. My excited girl, all ready to sink her teeth in one! Mum-in-law said on hindsight that in future it might be better to use unsalted butter instead of salted, to add 1 teaspoon of salt as well as 1 tablespoon of vanilla extract for a better taste. 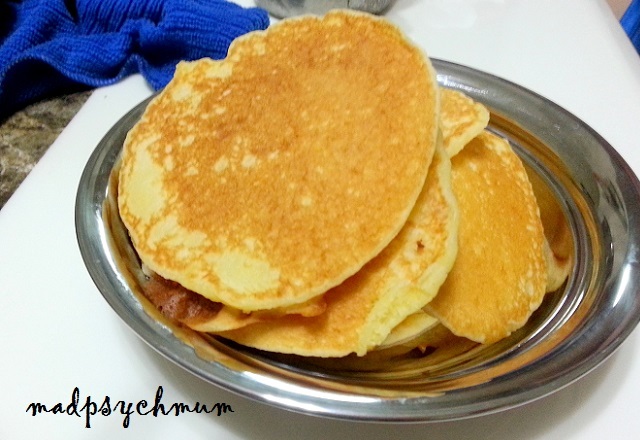 I thought seeing as she had never done pancakes before, this was an awesome result for a first try! We're thinking of trying it again, hopefully with greater success. 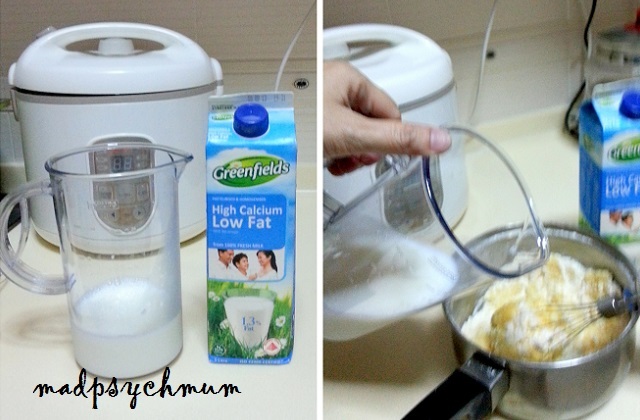 Disclosure: This is a sponsored story on behalf of Greenfields Singapore. All opinions are my own.